The Eiffel Tower was built for the Exposition Universelle of 1889, the centenary of the revolution. Two engineers Nouguier and Koechline, along with the architect Sauvestre presented their boss with the idea of a tower twice the height of the Washington Monument. Eiffel was good enough to patent the design in their names. At the same time, he must have worried how to get his construction money back, because a government subsidy paid for only a quarter of the tower's estimated cost. Eiffel must have calculated that he would get his money back by selling tickets, the proceeds contractually his for 20 years. 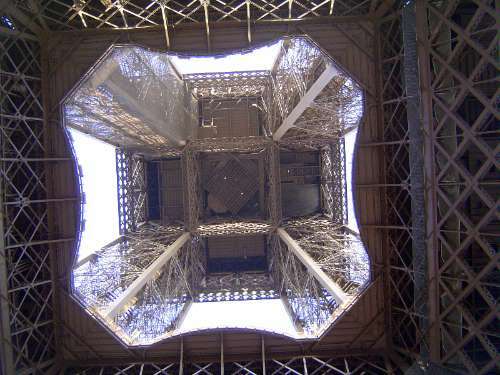 The tower was then to be demolished, though it survived because Eiffel persuaded the government to put military communications up top.